This article originally appeared on the Very Well website. One of the key elements of recovery from an eating disorder is nutritional rehabilitation. That means consuming enough calories at regular intervals to accommodate the needs of the body and allow it to heal. People of all genders, ages, shapes, and sizes can have eating disorders and disordered eating; you can’t tell whether someone is healthy or sick just from looking at them. In this article, we will discuss the role of supplemental feeding in the treatment of eating disorders, from oral nutritional supplements like Ensure or Boost, to the use of various types of feeding tubes. First of all, what exactly does nutritional rehabilitation, also called refeeding, entail? 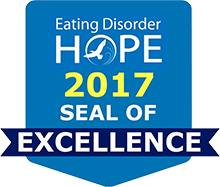 Since patients with eating disorders are often malnourished—regardless of body weight—it is an individualized process that ideally takes place under the expert care of a registered dietitian, ideally one who has expertise in eating disorders. A progressively increasing meal plan is established, usually comprised of meals and snacks that are well balanced. When someone is malnourished due to caloric deprivation (restriction of calories, purging, or even an intense diet), their metabolism becomes very slow to preserve calories and defend the body weight. This is how we survived famine as a species. When people with eating disorders start to do recovery work, it can be terrifying to imagine eating more than the bare minimum that the eating disorder has allowed. After all, that eating disorder voice can be loud, mean, and very demanding. However, our bodies are miraculous, and much smarter than we give them credit for. Starting to eat more calories—say, 1600 or more a day—does one thing physiologically: It boosts the person’s metabolism without causing weight gain. You read that right. That means that when someone who has been restricting calories, and is frustrated that their weight will no longer decrease (and probably feels foggy and tired and cranky), starts to eat at least 1600 calories a day, their weight is likely to remain stable, while their metabolism speeds way up. Amazingly enough, when previously malnourished people continue through the nutritional rehabilitation process, they become hypermetabolic. That is, they might need to consume 3000 or more calories a day just to restore 1-2 pounds of body weight a week. There are risks to refeeding, including a drop in the blood level of phosphorus, called hypophosphatemia. In the past, the recommendation was that calories should be started very slowly, to avoid hypophosphatemia. However, new studies have shown that it’s actually far better to get the metabolism going, nourish the body and mind, and not start too slowly—and phosphorus levels do just fine. The question then is: How do we get those calories in? Most people with eating disorders can eat regular food, and regular food is always the best way to get in one’s calories and micronutrients. However, sometimes when the nutritional needs are really high, it’s just hard to consume everything as food. In these cases, a highly dense supplement such as Ensure Plus (at 355 kcal/bottle) or Magic Cup (at 290 calories in 4 ounces) is easier on a full tummy than the same calories in solid food. Some dietitians choose to set meal plans where the main meals (breakfast, lunch, and dinner) stay consistent throughout refeeding, but snacks increase over time, sometimes with the use of a supplement. This way, when the target weight range has been achieved, the supplements and sizes of the snacks change, but main meals stay the same on a maintenance plan, causing less anxiety around change. Also, some patients need to “medicalize” their calories initially. When eating a variety of solid foods is too scary for the eating disorder, just getting the calories in by supplement is perfectly acceptable. The goal of course is always to return to eating a broad variety of foods. To those who bring up the issue of supplements being less “real” food or being too processed, we would say: There is nothing more dangerous than restriction. So if a supplement helps someone move through the early days of nutritional rehabilitation, that is vastly better than stalling out with an achingly full stomach. Sometimes, patients with eating disorders need a small, flexible tube inserted through the nose, terminating in the stomach or small intestine. These nasogastric (NG) or nasojejunal (NJ) tubes can provide continuous nutrition on their own or can supplement food intake during the day with nighttime feeds. For hospitalized patients, the combination of NG feeds and daytime food intake can help patients take in sufficient calories to progress with weight restoration, and continuous feeds reduce the risk of complications like low blood sugar. NG feeding can also help “medicalize” calories early on, when patients want to progress in recovery but aren’t yet ready to eat. Rarely, patients might use NG tubes at home. This is not generally recommended, as there is a high risk of patients sabotaging care through turning off tube feeds, not using them properly, or pulling out the tube. If the patient is that sick in their disorder, generally they belong in a higher level of specialized care. An NG tube can remain in place for up to 6 weeks with excellent care, but risks of use include sinusitis (sinus infection), reflux, aspiration pneumonia (when stomach contents flow back up the esophagus and down into the lungs), and vocal cord irritation or injury. There are also more permanent feeding tubes for those with eating disorders, such as a percutaneous gastrostomy (PEG) tube or percutaneous jejunostomy (PEJ) tube. These can be placed by a surgeon, a GI doctor, or an interventional radiologist. The most important point to make here is that PEG tubes should not be placed just because someone is restricting their intake. Frequently, inexperienced physicians will say of someone with with anorexia nervosa, “Just put in a PEG.” If someone is restricting calories by mouth, they will restrict calories by tube! PEGs should be reserved for situations where the ONLY way someone can get in sufficient nutrition is by PEG. Such situations include persistent vomiting syndromes, where a PEJ allows feeding downstream of the stomach where it can’t be vomited out. Also, in superior mesenteric artery syndrome, where the intestine gets trapped between two arteries in the setting of rapid or excessive weight loss, the standard of care is to give a purely liquid diet until sufficient weight restoration. Only if the obstruction is too severe should a PEJ be placed. It’s important to note that these tubes hurt a lot initially, and their placement is often complicated by pain, nausea, painful breathing, and difficulties initiating tube feeding. Removing the tube before six weeks can result in catastrophic abdominal infections. Their use should be reserved for those with expertise.